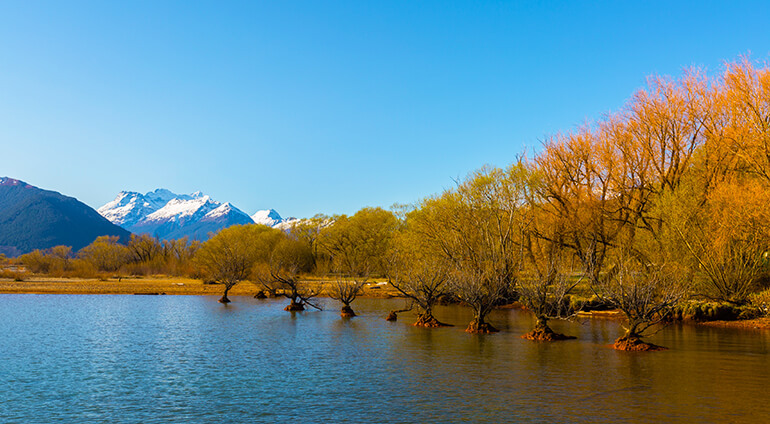 Queenstown has four seasons, but you can visit any time of year, depending on your preferences. Average temperature in the summer is 17 degrees and in the winter it’s a lot colder at 6 degrees. On the other hand, the coldest month in Queenstown is July and the warmest month is February. Autumn and spring are less busy than summer and winter. In winter you will get to see the snow topped mountains and go skiing and in the summer you can enjoy all sorts of outdoor activities.